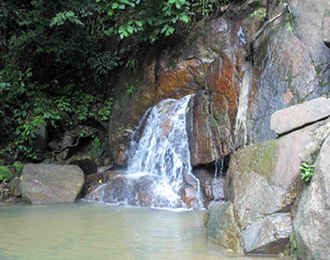 Do you want to take a Full Day of Thai cooking classes and waterfall sightseeing in Phuket? Maybe you just want to learn how you can make your own Thai red curry paste so you can amaze your friends and family the next time you have a gathering. 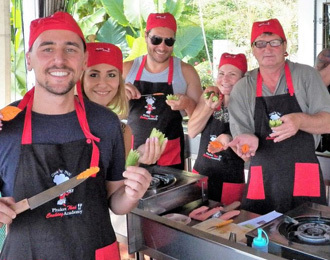 Whatever you need, our air conditioned cooking classes in Phuket will give you a hands-on experience that’s fun, authentic and most of all full with learning opportunity. We have classes available for beginners, vegetarians, professionals and more, not to mention that we will always be there to support you if you ever have any questions or if you need some added assistance. 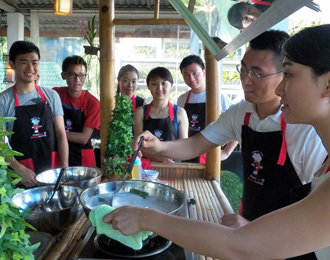 Our Phuket cooking class doesn’t just show you how to cook your dishes however, because it also shows you how you can prepare your ingredients to get the maximum flavour. This is just one of the many things that help us to stand apart from our competition and our customers are always coming back for more lessons because after the first one is over, they just can’t wait to see what else they can learn. We have courses available if you want to take a quick lesson and we also have courses if you want to take a more in-depth course over a couple of weeks. All of our air conditioned courses are taught by our experienced and friendly chefs. That is why we get as involved as you are, making sure that everyone is having fun as well as making sure that you can produce a 5 star dish that will keep everyone coming back for more! If you want to find out more about our cooking classes or if you want to find out more about what we can do for you then please make sure that you get in touch with us today. Payment for all regular Thai cooking classes is in cash (Thai baht) or by credit card (+3%), usually at the completion of your first class.